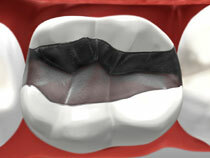 Bonded Fillings - Stephen M. Sgrazzutti D.D.S. Dr. Stephen M. Sgrazzutti D.D.S. If the thought of unsightly metal fillings leaves you less than thrilled, you’ll be happy to know that dental science has made many advances since metal fillings were invented! Today, if you need a cavity filled, Stephen M. Sgrazzutti D.D.S. 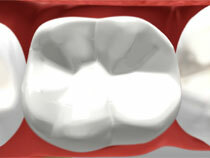 can use a strong composite resin that looks much more natural and is much less noticeable than a metal filling. And best of all, composite fillings only take a single appointment to apply—which means you save time while improving the health of your teeth and the appearance of your smile! Saginaw Family Dentistry has the knowledge, tools, and technology to improve your general health, smile, and demeanor.